For nearly 100 years, the French family Monin has worked to create the finest-quality syrups and liqueurs in the world. Each year they procure only the very best natural raw ingredients from more than 22 countries, selecting only premium suppliers. They then create a pure, natural syrup. In 1912, Georges Monin decided to set up as a liqueur and syrup manufacturer in historic Bourges, the fruit growing region of France. 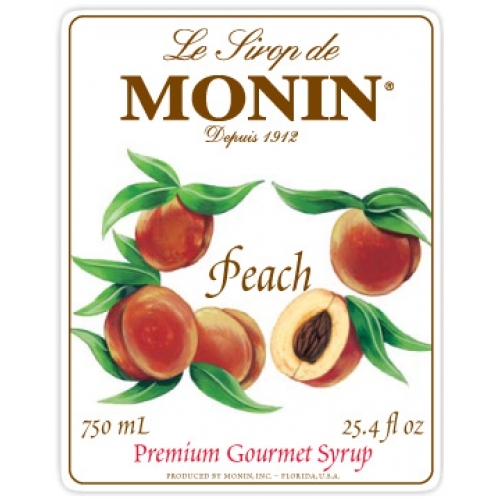 From the very beginning, he devoted his products exclusively to the professionals of the bar trade, restaurants, and gourmet retailers who were moved by his determination for outstanding quality which distinguished Monin from the standard brands. 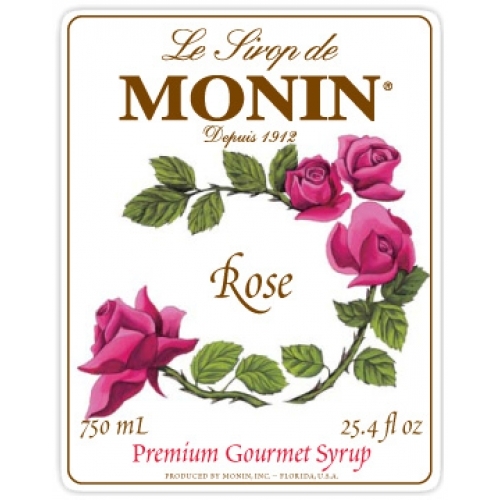 His slogan La Passion de la Qualit ("Passion for Quality") became the Monin motto. 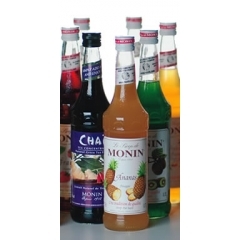 Monin is the world's leader in premium gourmet flavouring for professionals. Monin premium syrups and sauces use only the best natural ingredients sourced from all over the world, to guarantee pure consistent taste. Monin syrups are made exclusively from pure sugar which ensures optimum restitution of flavour and respect to all other ingredients. Flavors available are: Rose, Elderflower, Ginger, Gingerbread, Vanilla, Caramel, Raspberry, Strawberry, Green Apple, Irish Creme, Peach, Kiwifruit, Pineapple, Mango, White Chocolate, Chai Latte.